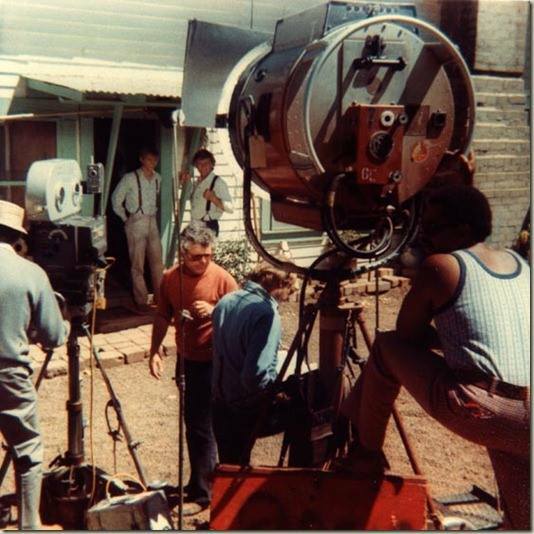 Above: Actors Richard Thomas and Ralph Waite wait for the crew to finish preperations to film a scene. 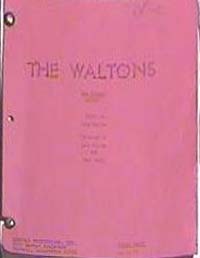 Right: Visible above the actors heads, a lighting grid can be seen hanging above the set of the kitchen. 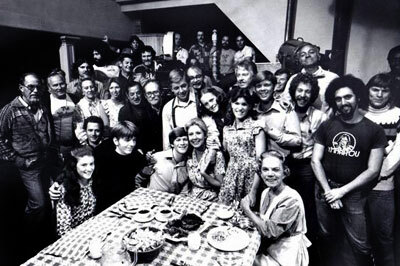 For the young cast members of The Waltons, life on the set was more than just another day of work. 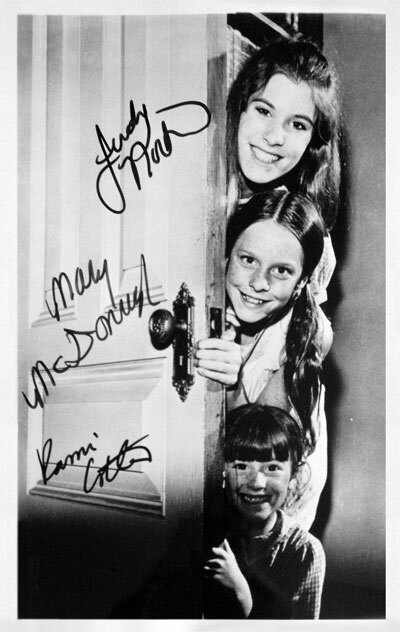 It would become home to them as they adopted their TV family as their own. With the long hours involved, it would become their classroom as well. 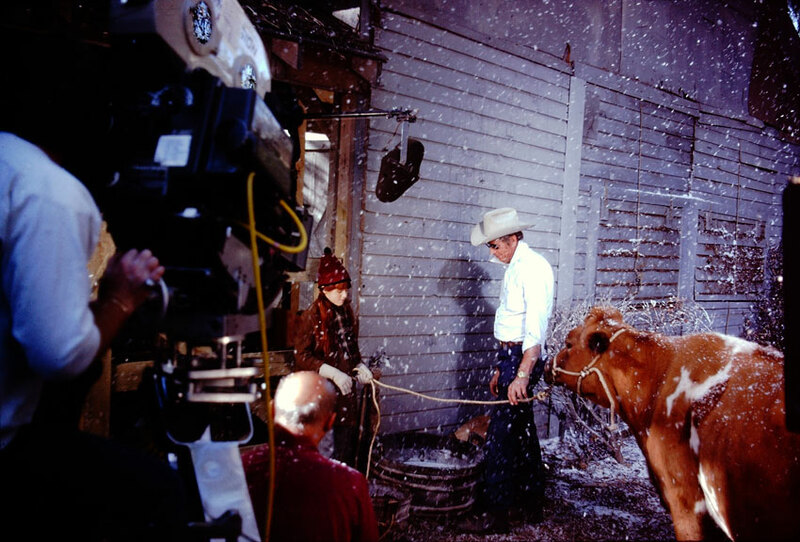 Kami Cotler prepares to film a winter scene with Chance the cow in "The Best Christmas". She had this to say about this image. 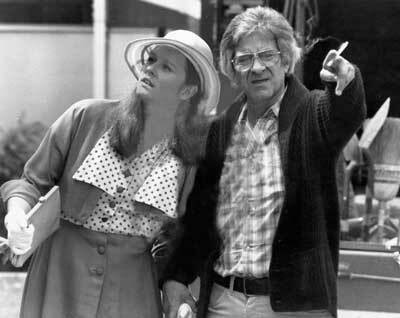 "I was thinking about "The Ferris Wheel," which was directed by one of my favorite directors, Larry Dobkin. 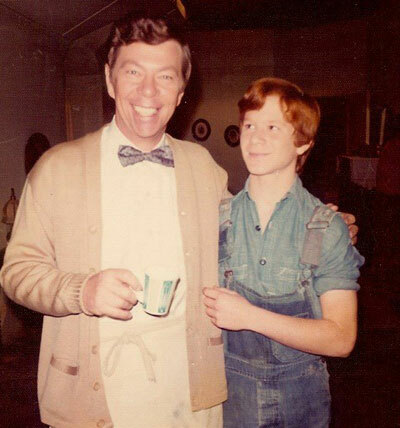 In this behind-the-scenes photo, you can see the top of his head. I am about to be handed Chance's lead, by the livestock wrangler who was responsible for the cow. I don't remember this episode, but I do remember breaking the "ice" in the bucket, which was really made of wax. Above my head is the boom mike. The snow is plastic flakes. 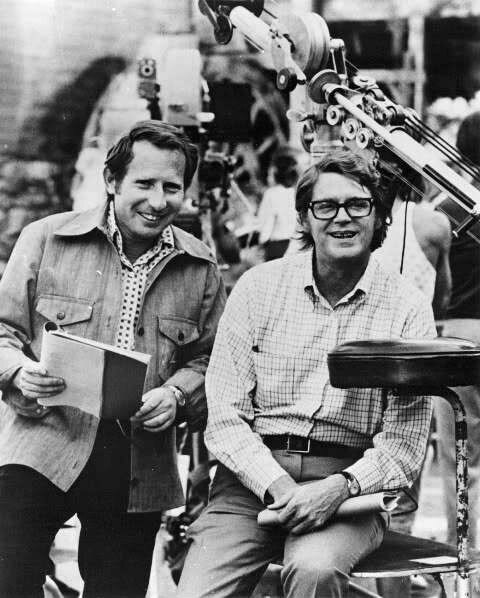 I think Larry directed all my most challenging episodes, including "The Ordeal" and "The Changeling." He also played Professor Ghote in one episode. And he taught my brother his English accent for "The Children's Carol". 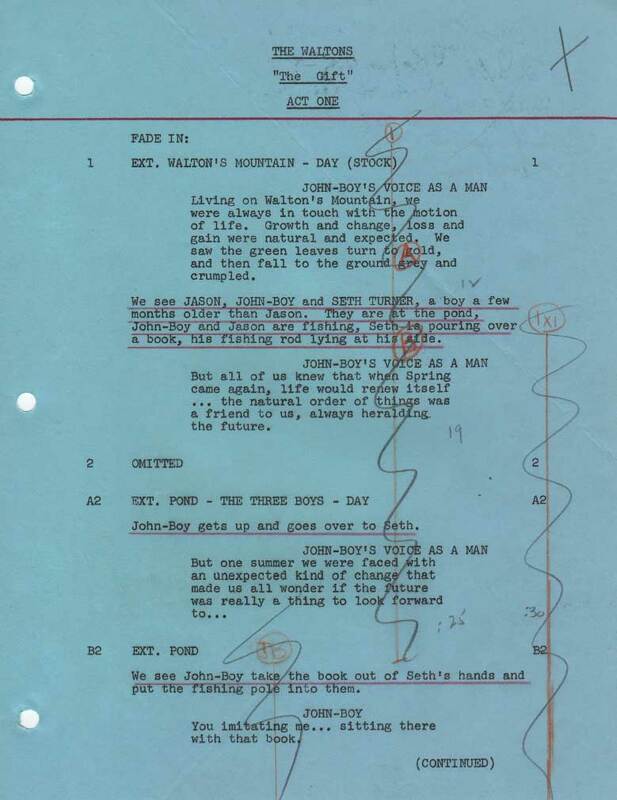 I remember Sally Boyden listening to the recording Larry raised dubiously, because she was pretty adept at an English accent and she could hear Larry's New York accent sneaking through his English one." 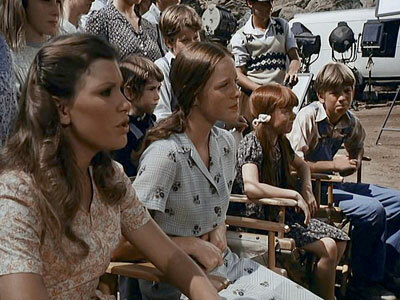 Above: The children sit in production chairs and watch a scene being filmed during "The Abdication" s4-ep11 when a movie company films a movie on Walton's Mountain. 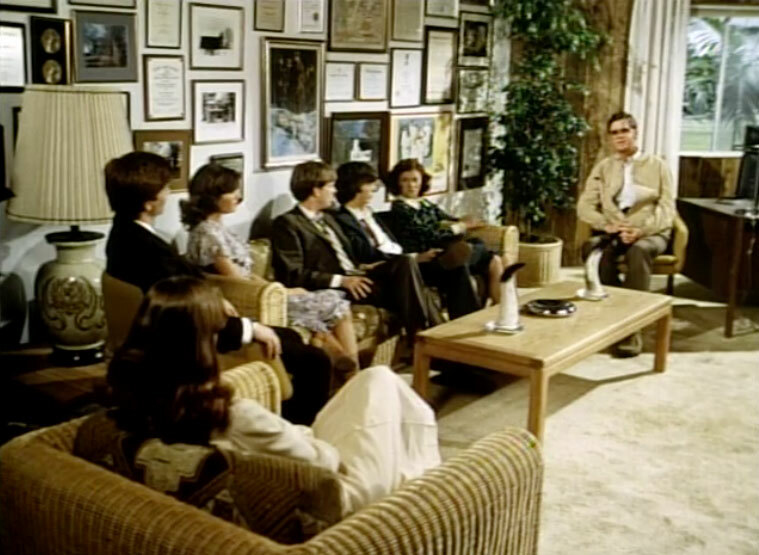 In reality the Lorimar Productions would not allocate the funds to give the children crew chairs of their own. 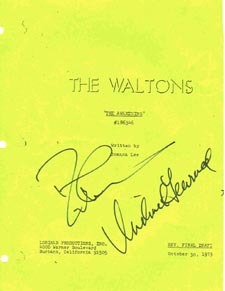 Right: Fiction would imitate fact as Jon's girlfriend and soon to be wife Lisa Harrison would become his on-screen girlfriend and eventual wife "Toni". 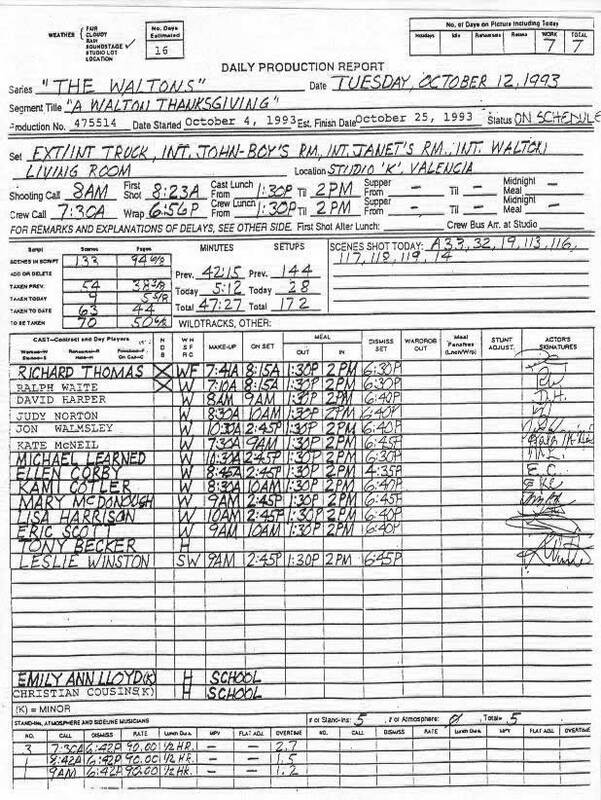 The whole cast was involved with the service. 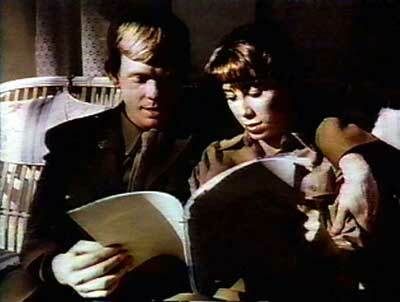 Held in Michael Learned's backyard, Ralph Waite, still an ordained minister, performed the ceremony. 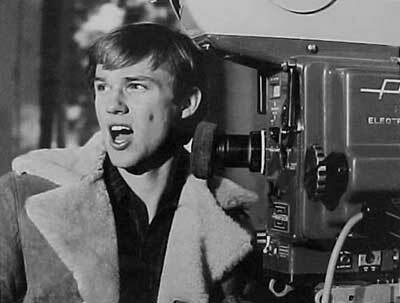 Richard Thomas looks over the script on location. 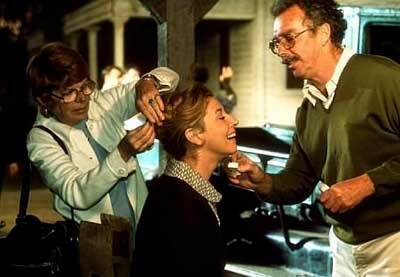 Michael Learned recieves a hair make-up adjustment. 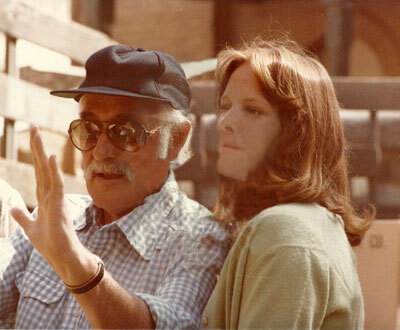 Mary McDonough receives some direction while on location. 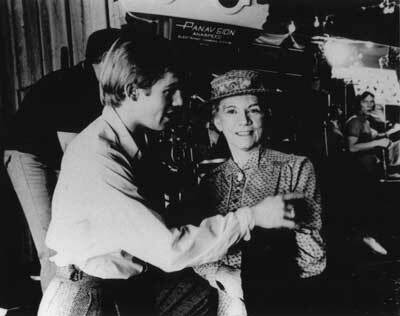 Jon Walmsley and Judy Norton in a impromptu moment during the filming of "The Children's Carol" (s6-ep11). 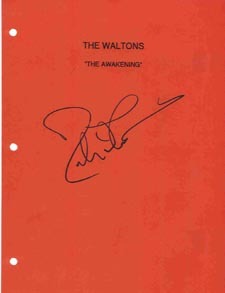 Eventually the cast started to take an active role in the production of episodes. 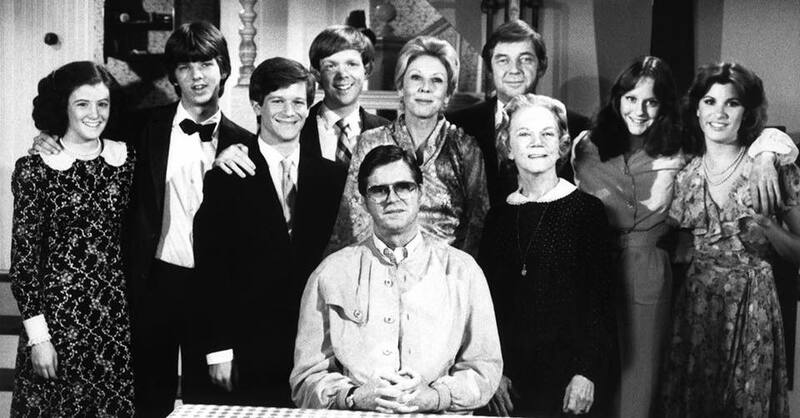 Richard Thomas (right) and Ralph Waite would sit in the director's chair on numerous occasions and Michael Learned and Ellen Corby would contribute stories for the show. 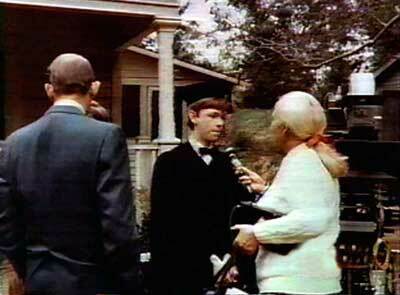 Above: Jon Walmsley "Jason" receives his high school diploma on the set. The two would develop a strong freindship that eventually saw them take a song & dance rountine across America and the recording of their own album. 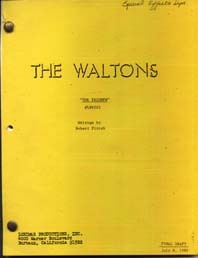 Joe would refer to Eric's character and his entrepreneuring spirit as being more of a "Godsey" then a "Walton". 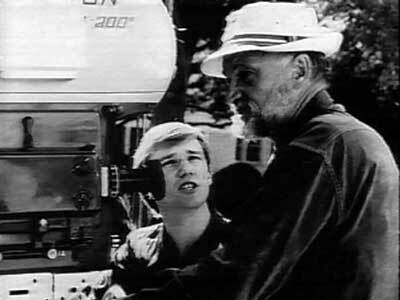 One of the more prominent directors of the series actually started on the show as a guest actor. 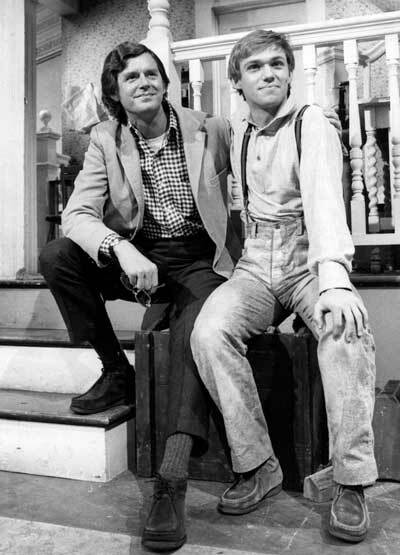 Lawrence Dobkin seen here to the left with Richard Thomas played the character of Professor Ghote in "The First Day" during the third season (s3-ep2). 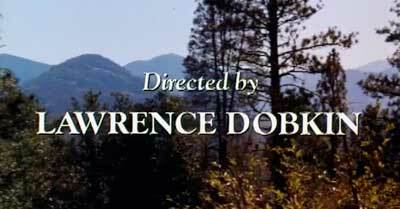 He would go on to direct 15 episodes. 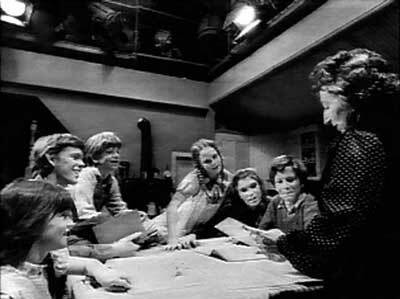 The children cast members in Earl Hamner's production office filming a scene for "A Decade of the Waltons". Note the framed memorabilia on the wall.